1. How many hours does it take it to make a stall? 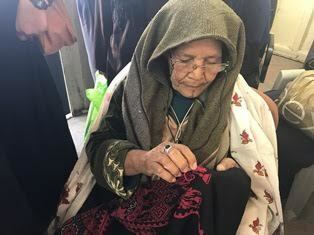 The embroidering time is varying according to the heavy of embroidery work, and Sulafa used to estimate the time takes to embroider one ball of thread in five days. The period of embroidery might be affected by other factors such production capacity, embroiderer availability and ongoing orders. 2. what are you particular about making embroidery? If I understood your question correct, sulafa is distinguished from other local embroidery shops by two main things. Briefly I can say the first is that Sulafa is working within the UNRWA to help and support low income Palestinian refugee women to earn their living and give them the chance also to help their families. The second is the quality of work and quality of materials and the long experience of sulafa team in related to designs, color assorting and stitches. 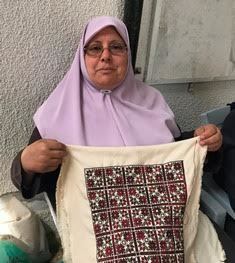 Although Sulafa maintains Palestinian traditions in its embroidery through the use of the cross-stitch and traditional colour combinations, Sulafa also emphasizes innovation by designing products with new colour combinations, patterns, fabrics, and stitches. Aiming to satisfy our clients' needs, -This is in addition to the flexibility offered to customers in customizing the product colors, designs and dimension.